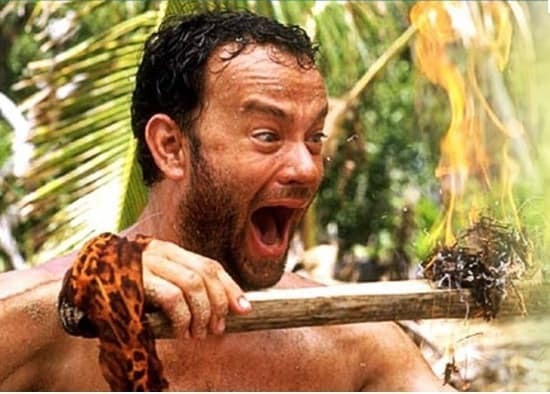 Tom Hanks stars in Cast Away. The film is the best of Hanks' career. [to Wilson] Hey, you want to hear something funny? My dentist's name is James Spalding. I couldn't even kill myself the way I wanted to. I had power over nothing.